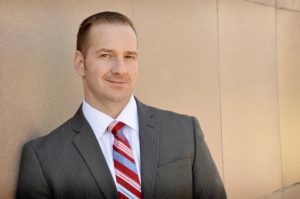 Bryan Zollinger serves as a representative in the Idaho State Legislature, serving District 33B in Idaho Falls. He is a native of Rexburg, Idaho and worked as an attorney prior to his legislative service. Zollinger joined Neal Larson and Julie Mason on KID Newsradio to give a legislative update. IDAHO FALLS, Idaho — A dead bill has been revived in the Idaho Legislature just days before the legislative body is set to end their 2018 session. In a last minute move by House Health and Welfare Committee revived House Bill 464, a bill designed to give low-income Idahoans better access to healthcare coverage. Representative Bryan Zollinger, who represents Idaho Legislative District 33B, said House Bill 464 was essentially dead before the committee decided to send the bill back to the floor for debate. The bill comes with a steep price tag though. At a $100 million bill to tax payers Zollinger said the proposal faces an uphill battle against the Republican lead house since it goes against every principle conservatives hold to. One struggle, Zollinger said, comes as legislators debate how to help low-income Idahoans using a budget that’s already pulling a massive amount of funding from tax payers. The revitalization of the health care bill is prime example of a trend during this year’s legislative session. Committee chairman have continued to shelf bills throughout the session, veritably signing death certificates for bill after bill. Among the most controversial, Zollinger said, include the CDB oil proposal and a bill addressing castle doctrine in Idaho. State officials project the 2018 legislative session to end on March 23.